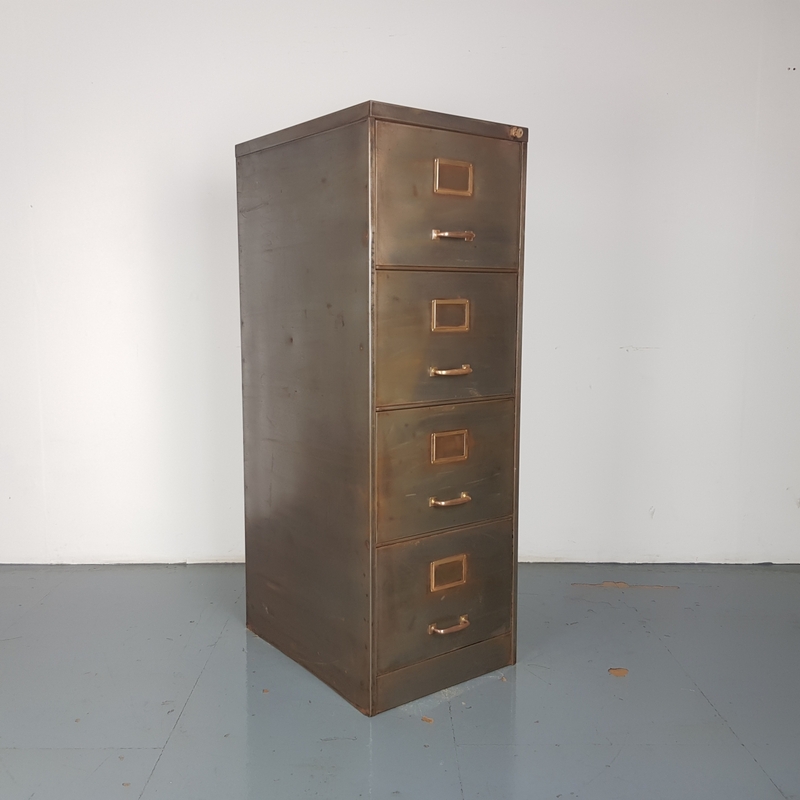 Very nice vintage midcentury stripped and polished steel 4 drawer filing cabinet with brass handles and label inserts made by Art Metal. With high sides, meaning that it fits modern filing systems. Also comes with working lock and key.